LUBAN Frankincense - IRFI de Lone Sorensen sl. LUBAN Frankincense There are 15 products. 100% Natural raw dissolved Frankincense Boswellia Sacra spray. For Aroma Therapy. 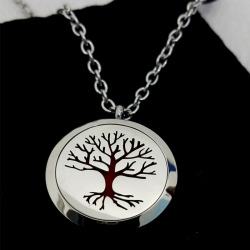 Beautyful necklace for a very healthy essential oil to wear everyday to strengthen the immune system. The original Frankincense Boswellia tree engraved.